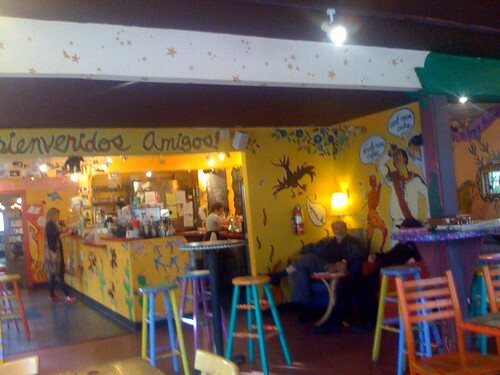 I stopped by El Diablo this afternoon to grab a coffee and check on some email before continuing on with errands. Before we’d headed on to vacation, I knew they were going to be closed for a “spruce up” – but I hadn’t seen the results. I really like the “sprucing” – the dark ceilings are a nice addition (they had been white), and the paint all over the place got a nice touch up around the board.